Want to Blow Up? Build Your Own Network. There are 7 billion people on the planet. GrantCardoneTV is offering business solutions to all of them. I used to have my own show, Turnaround King on National Geographic. While it’s great having a show on a network, I like to control what I put out and when I put it out, so I turned the tables by snubbing offers from traditional television and cable networks and choosing to create, fund and launch my own business network. I wanted to create a digital network to become like the Netflix of Business. We live in an age now of on-demand where people want to watch their choice of shows on their own schedule. I was motivated by the success of on-demand channels like Hulu, so I created GrantCardoneTV to make business solution content available when people want it. There are 7 billion people on the planet and I want to give them solutions that the traditional networks and cable, for whatever reasons, just will not offer. They all copy one another, delivering the same bad news in the same bad way and it doesn’t help anyone improve their condition in life or in business. When you take a frustrated successful entrepreneur that has a “whatever it takes” work ethic, you get change! I started creating content for my new network. In this world content is king. I came out of the gate with five new shows and an original reality series. I got together expert guests to air on my network, including authors, motivators, entrepreneurs, and financial experts covering topics like start-ups, finance, investing, real estate, network marketing, and branding. I began live streaming on the network from my studio in Miami Beach. The Cardone Zone (career & finance), Young Hustlers (millennials), and The G&E Show (business & marriage) have been hit shows to this day. Since I am always telling people to do whatever it takes and push beyond what’s comfortable, I knew I had to launch my own network because it was a leap into a new world for me. It was a little scary, but obscurity to me was even scarier. 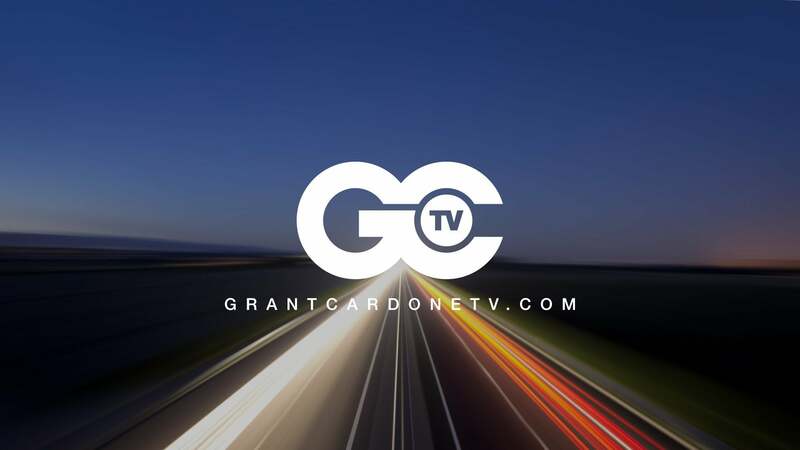 There have been some growing pains, but GrantCardoneTV has grown into a hit network for entrepreneurs, business owners, go-getters, startups, sales organizations, and success-minded people that want to control where they get their news and their solutions. I’m continually looking for talent to cover topics like advertising, branding, business, career, education, entrepreneurship, finance, investing, money, marriage, network marketing, real estate and more. 1.Obsession: If you don’t have a passion and even an obsession for what you are pushing, don’t even start. The obsessed know that if they aren’t all in on their venture, they will get rolled over by others who are. Go ask those who live in Silicon Valley how they feel about immersion, hundred-hour workweeks, and borrowing money from family and friends to get to market. Talk to an artist or athlete, someone who is obsessed with and constantly improving their particular talent, and see them come alive talking about that thing they do. Are you obsessed with something? That’s the first step to starting your own network. 2.Hustle: Let’s face it, you can start a network, but you won’t be able to stick with it let alone grow it without a lot of hustle. In addition to being obsessed, you must be driven, dedicated, all in, committed, and relentless. You can’t buy those things at the grocery store. Having a great network is not going to be easy. It takes effort. 3.Vision: You must have an idea of what kind of network you can have and what it will look like. Your obsession should come with creativity. You need big ideas and a clear picture of what you want to bring people. Do you have a vision of being an authority on something and getting your message out there? What do you do better than anyone? For me, I remember I realized it really bothered me that there were guys in the sales industry who were better recognized than me. It killed me that my name wasn’t up there with the sales greats like Brian Tracy, Tom Hopkins, Og Mandino, Napoleon Hill, and Zig Ziglar. Where was my name on that list? It made me angry that people were interested in their information and not reading mine only because they had not heard of me. But that was my fault—I had not been obsessed with worldwide expansion. Once you have this list, start breaking down the categories. On the professional side, I began to think about what it meant to be a “sales genius.” I revolutionized the sales game when I was thirty years old and am still doing it today. Being a sales genius also meant I could talk about different topics within sales, including closing the sale, customer service, customer control, follow-up, cold-calling, running a telemarketing team, long sales cycles, retail sales, Internet sales, webinars, selling from the stage, real estate sales, insurance sales, and on and on. Next, I came up with the benefits I could offer others in each of these categories to further clarify my message to the world about what I can do for people. I know that I can teach anyone how to be great at sales and like it. I can take a good salesperson and make them great. I can take a great salesperson and make them a master. 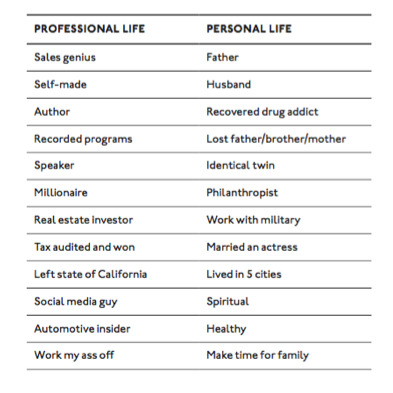 Use the little exercise above to clarify what you are the best at and what you are an expert in. Now you have some direction for your network. Are you ready to blow up?